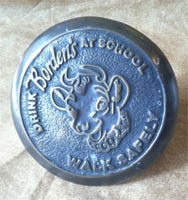 These heavy 4 inch markers have a 2 inch long hook sprag on the back to set it into wet concrete when the sidewalk is poured. 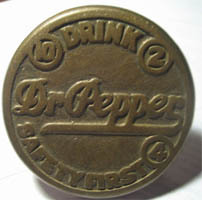 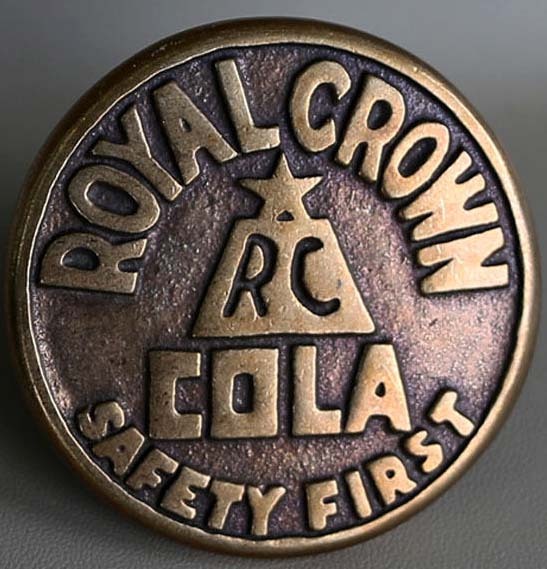 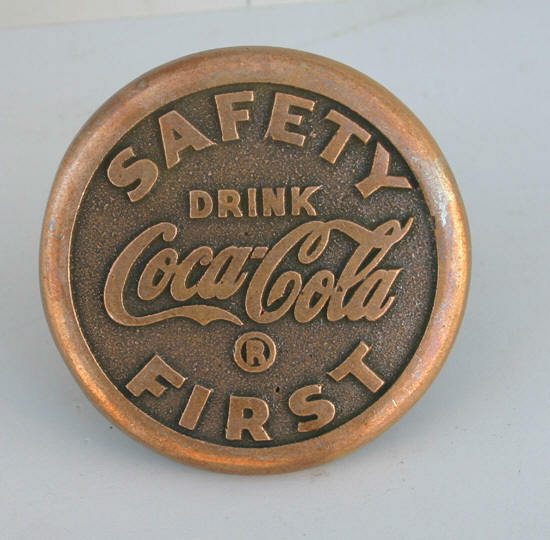 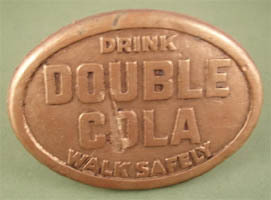 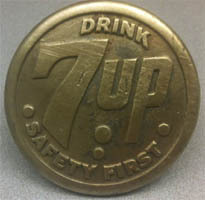 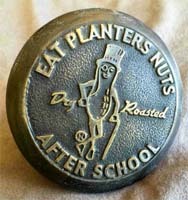 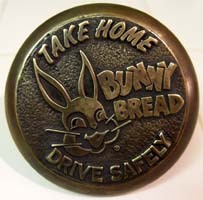 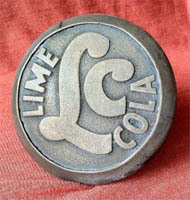 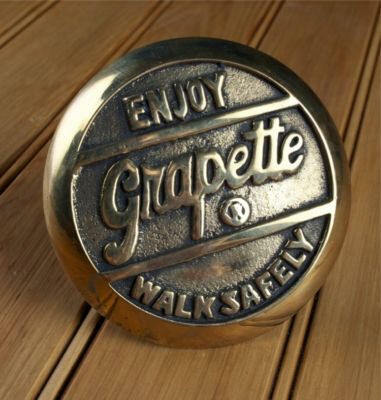 Many soda companies supplied them to areas near schools and high pedestrian traffic for sidewalk safety markers in the 1930's. 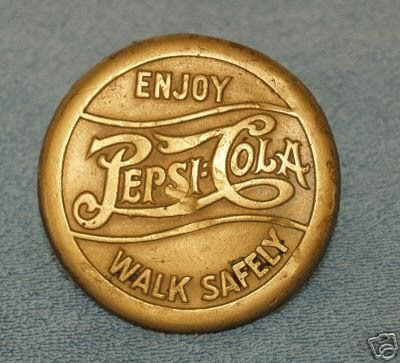 It would sit flush with the top of the sidewalk, and provide a permanent marker for separating pedestrians from motorized traffic, and at bus and streetcar stops. 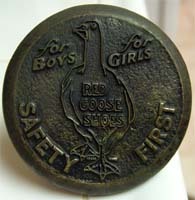 Schools would use them as cue up points to form a line for the bus. 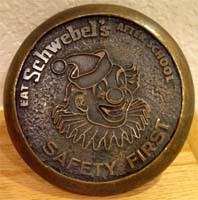 Most of the surviving markers like these were removed during WWII for the metal. 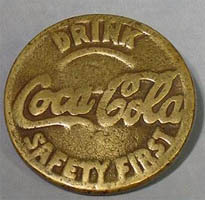 Any that made it into collections are usually substantially worn on the top. 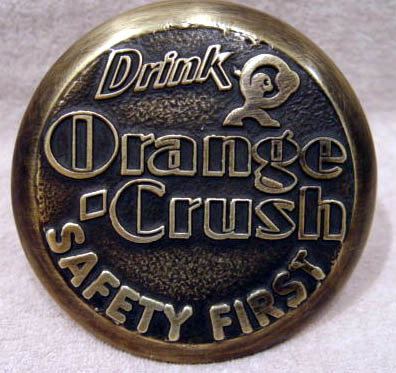 The foundry that produced them ( National Safety Marker Co, in Pontiac, MI ) was demolished just after WW11. 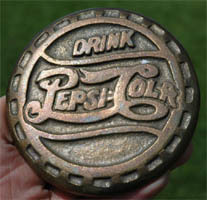 The back (underside) says, Patented 4-11-33 National Safety Marker Co. Pontiac Mich.